There is something humbling about stumbling upon something as beautiful as a Joshua bloom. Before last week, 23 years had passed since I last saw a Joshua Tree. I do not recall the trees being in bloom at that time; neither do I remember that they were not. What I can say with certainty (and no small degree of sadness) is that even if in they were in bloom, I would not have paid particular attention. I was enraptured by life’s panorama, indifferent to small and delicate mysteries such as the Joshua bloom. On this visit, however, when we arrived in the Mojave and I spied the flowers, I instantly delighted in them. 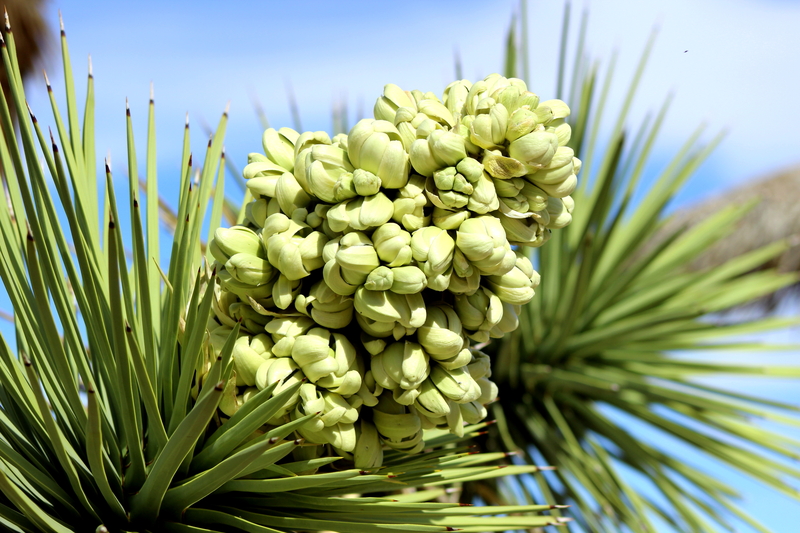 The Joshua Tree is the largest Yucca and does not bloom every year. It is not known precisely when or why the Joshua will bloom but it is speculated that the flowering relates to the plant’s responses to rainfall or lack thereof. In 2013 a record profusion of Joshua blossoms led scientists to speculate that the Trees are radically threatened by the worsening drought in the Mojave. 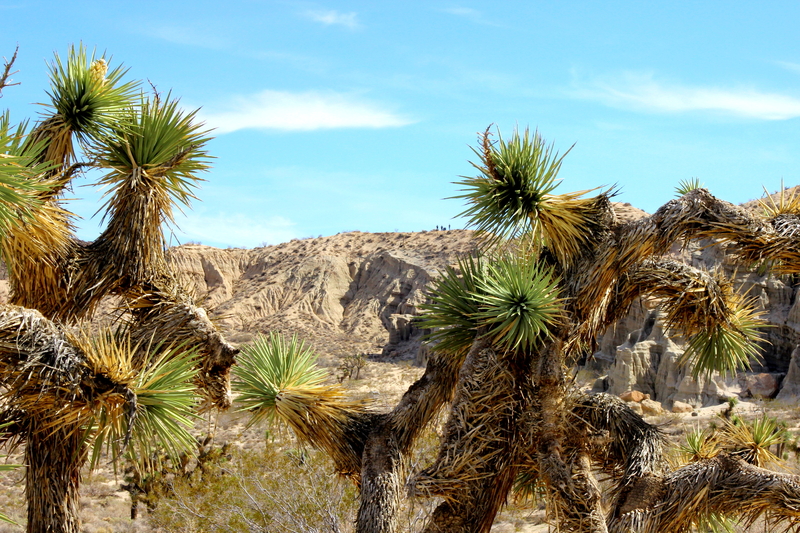 A trend in the Joshua Tree population shows that as older Joshua Trees die, they are not being replaced by new ones, thereby putting the future of the Trees at risk. On Survival: "What I Liked Best"
Documenting EMIGRANT TRAILS: Trails West, Inc.